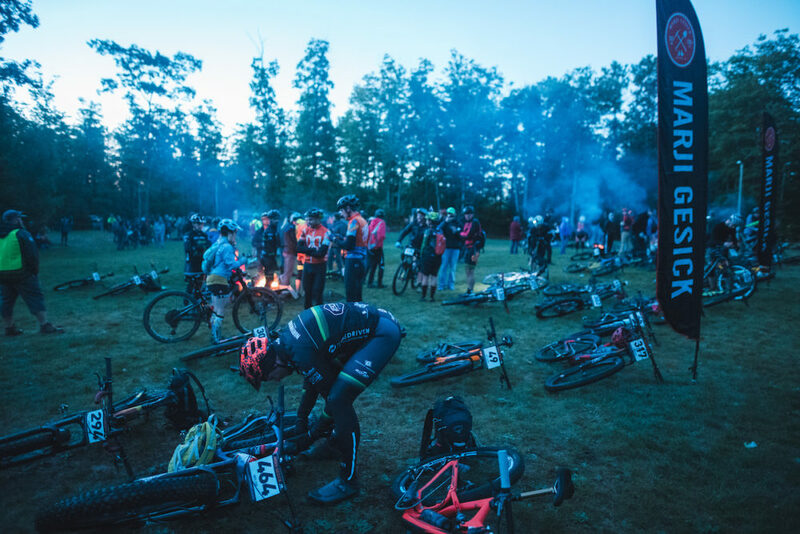 The Marji Gesick is a point-to-point endurance race located on the upper peninsula of Michigan. It starts in Marquette and ends in downtown Ishpeming. 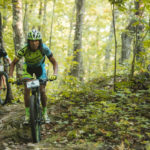 The one-hundred mile and fifty mile mountain bike races are part of the National Ultra Endurance Series. There is also a one-hundred mile and fifty mile run option. 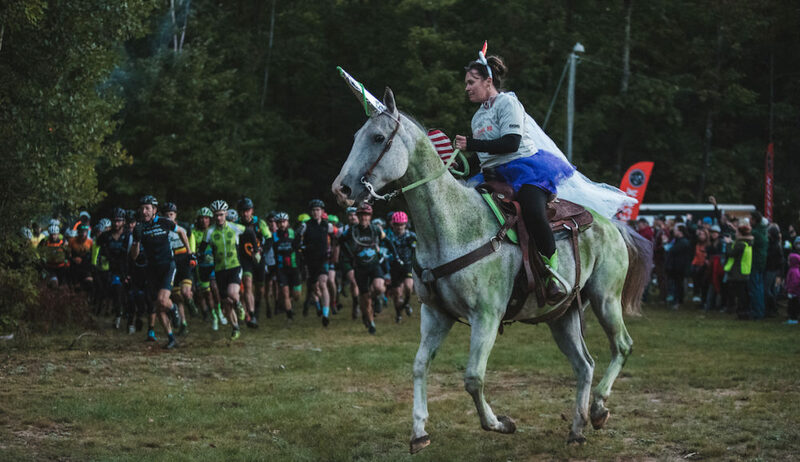 It’s quickly gaining popularity as one of the toughest endurance races in the United States. 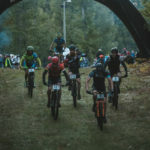 In 2018 it sold out in less than twenty-four hours with eight-hundred mountain bikers and seventy runners registered. This GPS required race is self supported, and racers are required to collect poker chips at random checkpoints along the course. 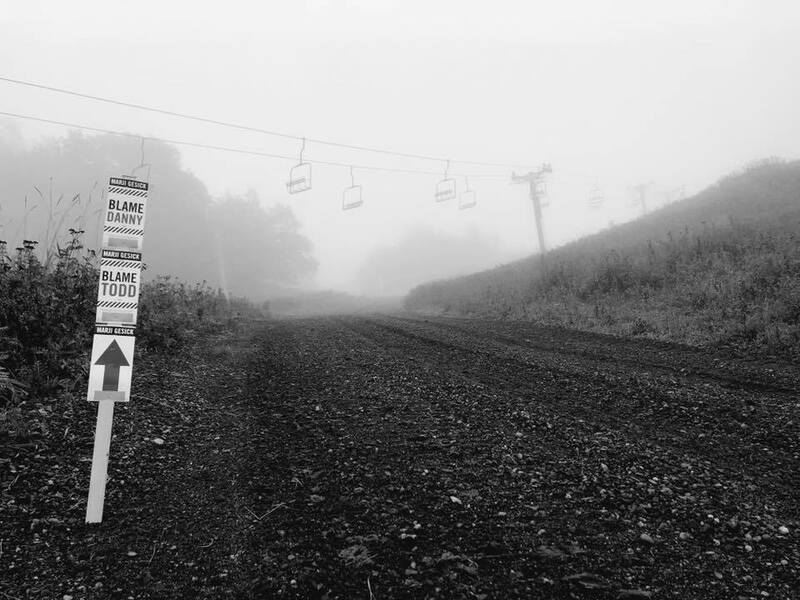 The Marquette Ski Hill climb at the start of the 50 mile. The course was designed to push riders to their absolute limits. 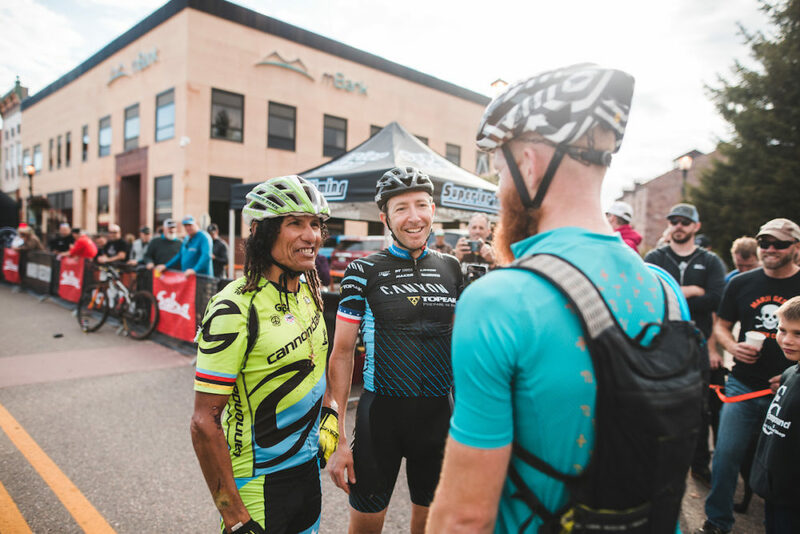 The one-hundred milers having around twelve-thousand vertical feet of climbing, and the fifty milers around seven-thousand. 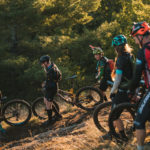 In both courses, racers have to navigate through sand, roots, rocks, off camber climbs, drops, jump lines and technical descents, all while saving enough energy to get through the grueling last fifteen miles. 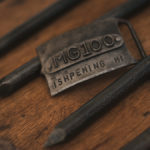 Racers in the one-hundred mile course finishing under twelve hours for mountain biking, and under thirty hours for runners, will earn the coveted belt buckle handmade by blacksmith Gordon Gearhart. 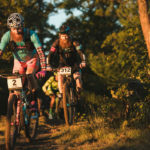 For 2018: three-hundred-thirty-one mountain bikers started the one-hundred mile course, two-hundred-eighteen finished and only nineteen claimed a buckle. For the one-hundred mile runners: twenty-seven started, twelve finished, and only nine buckles were handed out. Claiming third, Scott Wolfson finished in 6:50:01. 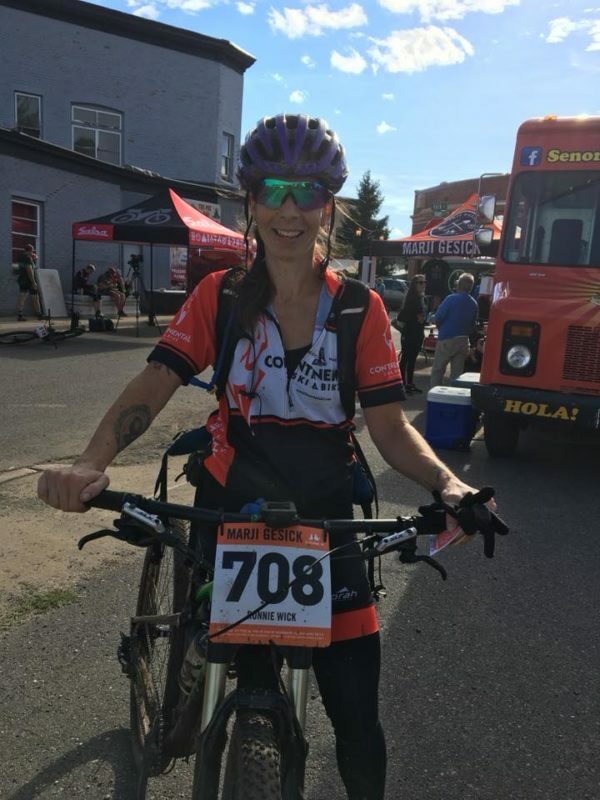 “Never had I gone over my handlebars three times during a race until I met Marji. The climbing was extensive and the start straight up a ski hill a little comical, but it was a beautiful day, the trails were dialed, and for the first 30 miles I was thoroughly enjoying myself. A short time later on the luge hill climb I started cramping, especially when I had to get off my bike to walk it on some of the insane rock climbs. I fought like heck to make every hill from then on. With a couple miles left, spectators kept yelling that a group of racers was only 30 seconds to a minute ahead of me. But I didn’t care. I just wanted to finish. I eventually caught them and passed them up the last few climbs to finish a grateful and unexpected third. Defending NUE Marathon Champion, Jen Toops (Pearl Izumi/Pivot Cycles), wins Marji Gesick 50 with a time of 7:17:17. She now leads NUE Marathon Series going into the final race at Big Bear, CA next weekend. 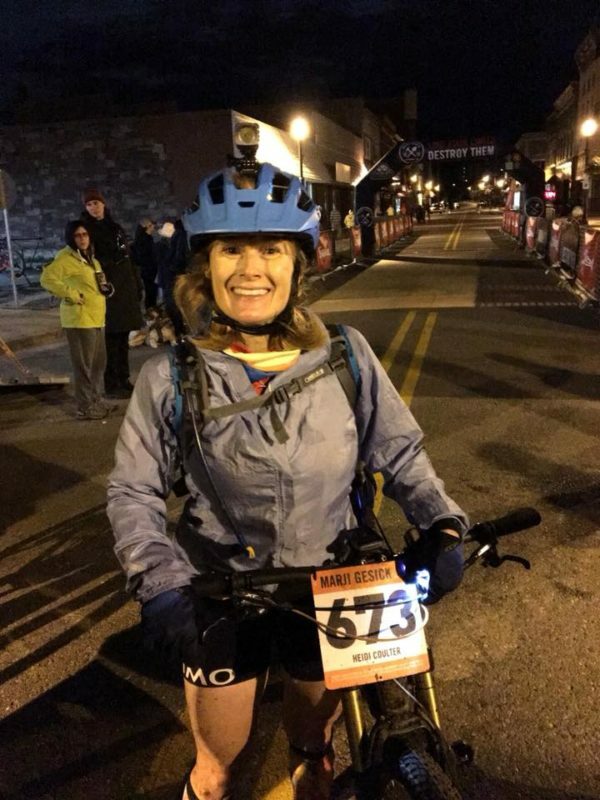 “This was my second time racing the Marji Gesick 50 mile and I felt prepared. I just finished a training block and had previous knowledge of the course. 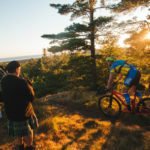 I was ready to race and chose to race my Pivot Mach 4 with Continental Cross Kings. The race starts out on the Marquette ski hill and positions are sorted out early. It was much colder than last year and the conditions were perfect. On the first downhill I dropped my 100% speedcraft glasses, but I wasn’t about to stop and get them. I kept going and tried to stay on pace winding through the singletrack and at one point washing out on some loose sand. About an hour or two into the race a group of guys caught me and were going at a fast pace. I tried my best to hang on for the ride up the bike path, knowing that any energy saved here would greatly benefit later in the race. Eventually most of the guys took off and fellow Ohioan, Chuck Boyle and I decided to work together for a while. Chuck and I rode over half the race together and helped each other navigate and keep each other sane. The second half of the Marji 50 is by far the hardest. Any matches burned at the beginning of the race will catch up here. I continued a moderate pace playing it safe on the downhills and pushing the pace on the uphills. 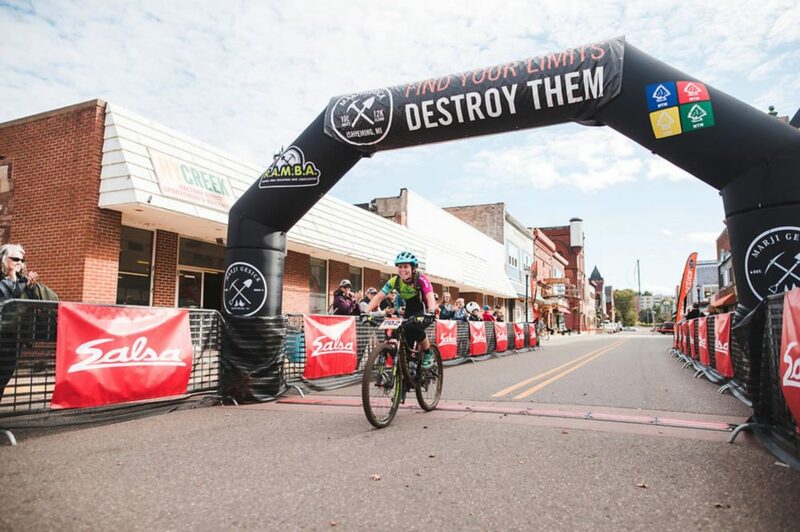 The end of the race has a lot of climbing and I saved enough energy to move up a quite a few placings and ride into the finish taking the win in women’s open. Just a few minutes back from Randall, Ronnie Wick places third in 7:59:59. 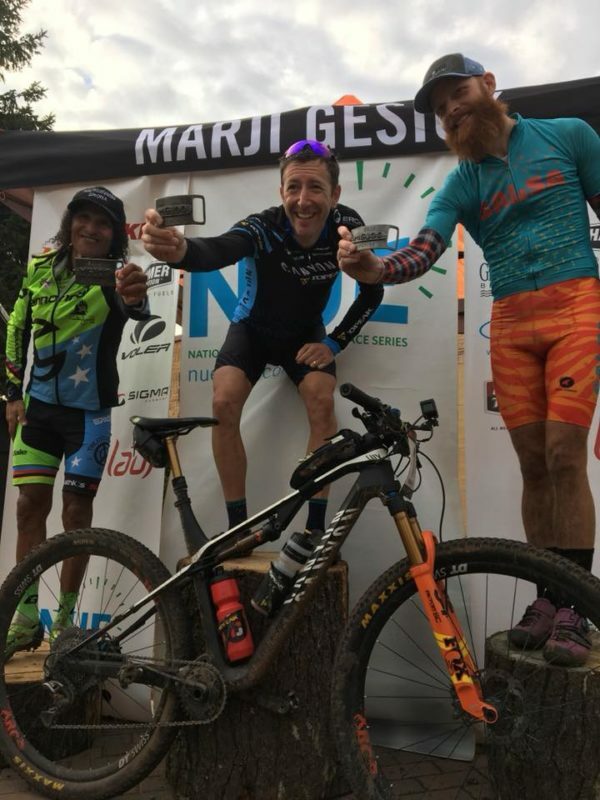 “I’ve only been riding bike for 3 years but long enough to have heard about the Marji Gesick. After checking out the website and watching a few videos, I wanted to ride it. And I say ride it because other than what I’d seen on social media, I had no idea what to expect. My goal was to finish it – intact. I thought the 50mi was a great course. I rode conservatively all day, unsure of what lay ahead. I had heard a lot of different stories. I dig most terrains to ride and was happy the Marji had a bit of everything. I’ll be back next year for sure! Being familiar with the course, I’ll be in race mode and leave it all out there! I’m sure, it being the 5th year anniversary, there’ll be some fun challenges! Lundsten wins the Master’s race. Roger Lundsten gets the top step in the Master’s category and finished with a time of 7:39:08. Almost an hour back was Paul Tepp taking second in 8:22:39. Rounding out the Master’s podium was Robert Zimmermann with a time of 8:47:43. Orth takes the WIN and gets second overall! 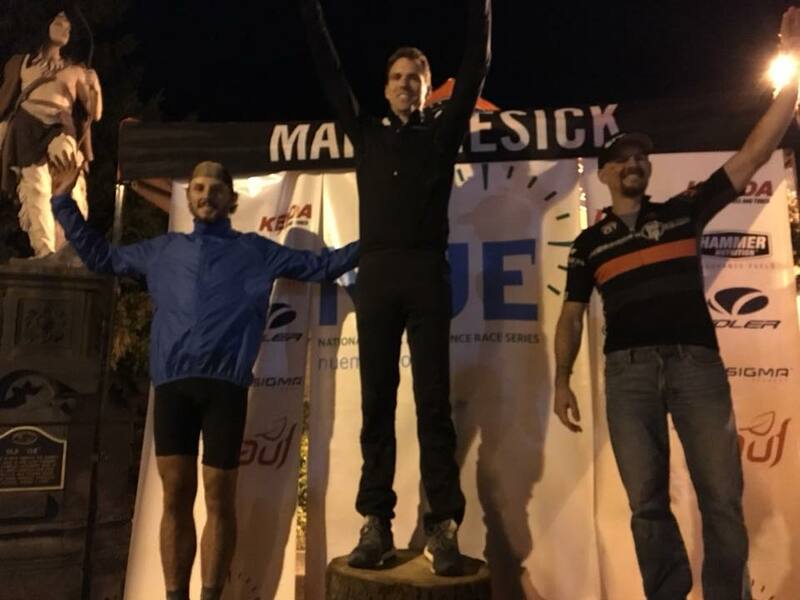 Eli Orth gets back-to-back wins at the Marji 50 mile and takes second place overall with a time of 6:17:43. 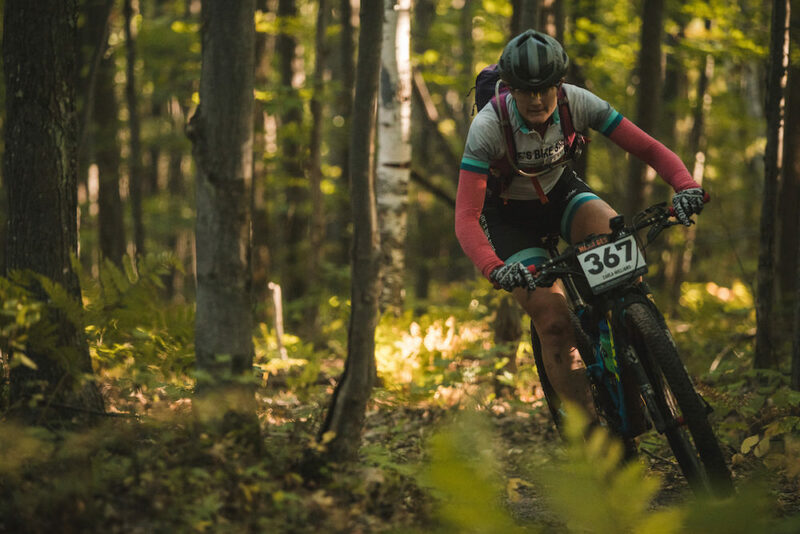 “With Marji Gesick being my last NUE race of the season and one of my favorites i was really looking forward to race day. With cool temps i knew there was a good chance of improving on my time from last year. Up the first fire road climb i was surprised to find myself all alone up front with only Chris Tries catching up and passing me before the single track. During the race a wrong turn was made a few times but i quickly realized it and was able to catch those that had got in front of me. During one of those passes a very memorable moment was when i was going for a pass on the right and my handlebars clipped a tree. I stayed up and kept going but the tree came crashing down next to us..narrowly missing me and at least one other rider! The majority of the race i spent it just enjoying the trails and the perfect weather and staying consistent. At the finish i was actually surprised i was 2nd overall on my single speed.. just like we started the race. My goal going in was sub 6:30 with last years time being a 6:50. I easily got it with a 6:17. This is my last NUE race this year and this off season I’ll decide if I’m going to race the 100 milers or 100k’s next year. 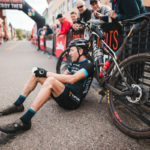 More than likely I’ll definitely be doing 100 mile at Marji Gesick next year no matter what.My bike in the race was a Pivot Les with 32×19 gearing using an Absolute Black oval. It was a little changeup from my normal gearing but it worked out good. About twenty minutes back, Joshua Blum took second place with a time of 6:37:38. “Ah the Marji Gesick, perhaps the most feared race in the galaxy, or at least the Upper Midwest. How the race took shape for the Half Marji. Metallica was playing at the start, the National Anthem was belted out via Electric Guitar, and we were off up a steep hill (which is fitting). 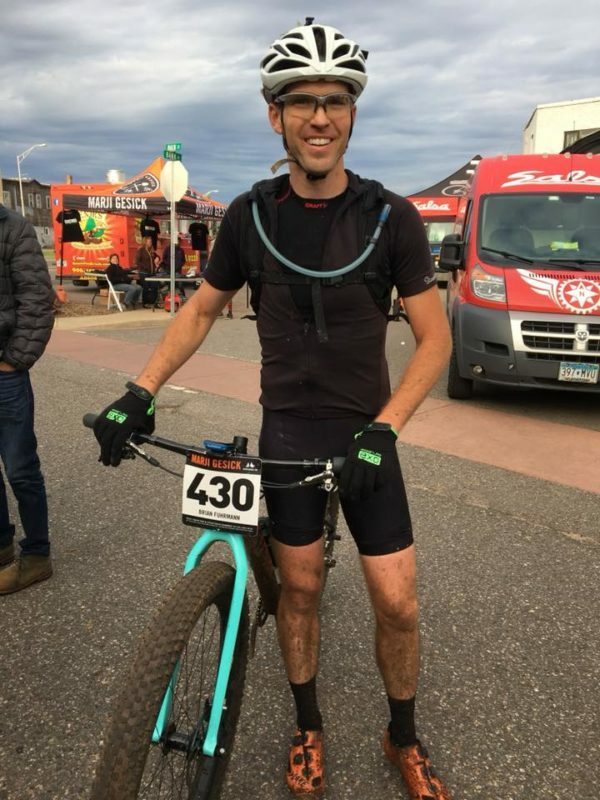 Eli Orth sprinted his SS to the top of Marquette Mtn. We all then descended and settled in. Knowing the course from 2017, I was reluctant to do anything but ride my own pace in fear of the final 15 miles… (Note, staying redlined in the first 40 miles isn’t wise). Unlike 2017, the weather was perfect. Once stopping at the unofficial aid station (Jackson Park, around mile 40) I was greeted by an awesome group of volunteers, known as the “Suffer Crew” they helped refill water, and then I was off for the final 15. At this point I felt great, and knew I was in position to race the final 15 instead of survive the final 15. Upon leaving the Unofficial Aid Station, I was told that I was in 7th place overall for the Half Marji. Awesome! Time to pedal and push the bike. I was able to pass 3 more people in the final 15, and cross the finish line. Crossing the finish line at the Marji might be the best feeling one can have period. My goals for this race were a top 10 finish, and no mechanicals. Both were accomplished, the bonus was a 4th overall, and 2nd in SS. The gearing that was chosen for this race was a Wolftooth Oval 32 tooth ring, and Wolftooth Stainless 20 tooth cog. 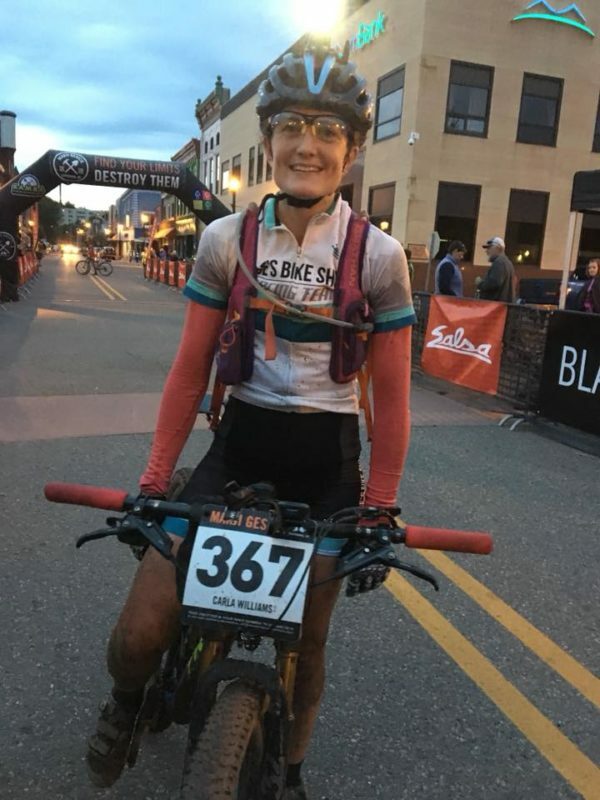 Thank You’s go out to my wife Rachel for taking care of our kids while I’m gone, Smith’s Bike Shop in La Crosse WI, NOX Composites for building very durable carbon hoops, and having an awesome crew from La Crosse to travel to this race with. Taking third was Yianni Pimenidis with a time of 7:24:03. 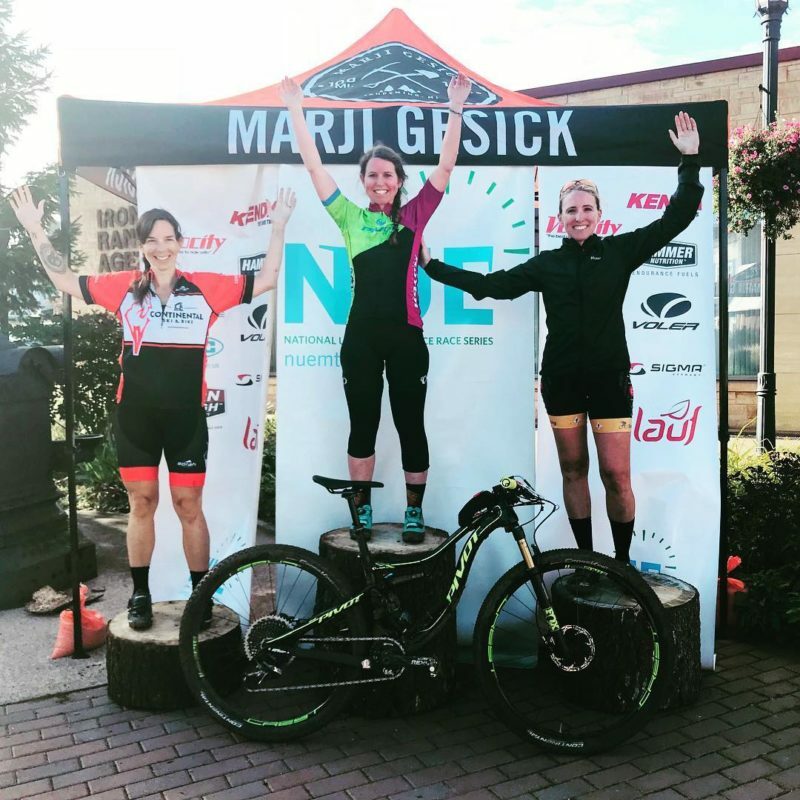 Want to register for 2019 Marji Gesick? Registration opened Oct 13th and sold out in under a few hours. Don’t worry plenty of people back out so Click here to get on the wait list. Danny and Todd are looking to get more women racing. Any women on the wait list get moved into the race automatically! So get registered for 2019! On September 29, the NUE Series heads to California for the NUE Championship race at the Grizzly 100k and 75k in Big Bear, California. Jeremiah Bishop goes sub ten and takes the WIN! The first racer go sub ten hours and take the win in the 100 mile was, Jeremiah Bishop, coming in at an impressive time of 9:57:05. “Marji ate my lunch last year, this year I came loaded for Bear. I had a much smoother race and made all the selections early on, Matt Aker drove the pace. I put in a dig after clearing the most technical climb of the day and got clear. Legs ached but they answered the call. I nailed the last hour and took back my pride. 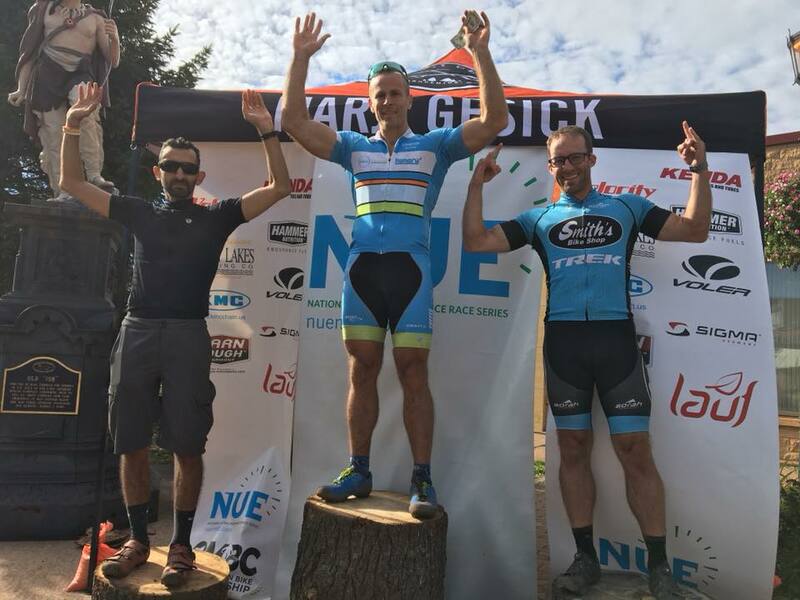 It was a honor to take down my last NUE 100 Win on Canyon Topeak Factory Racing. 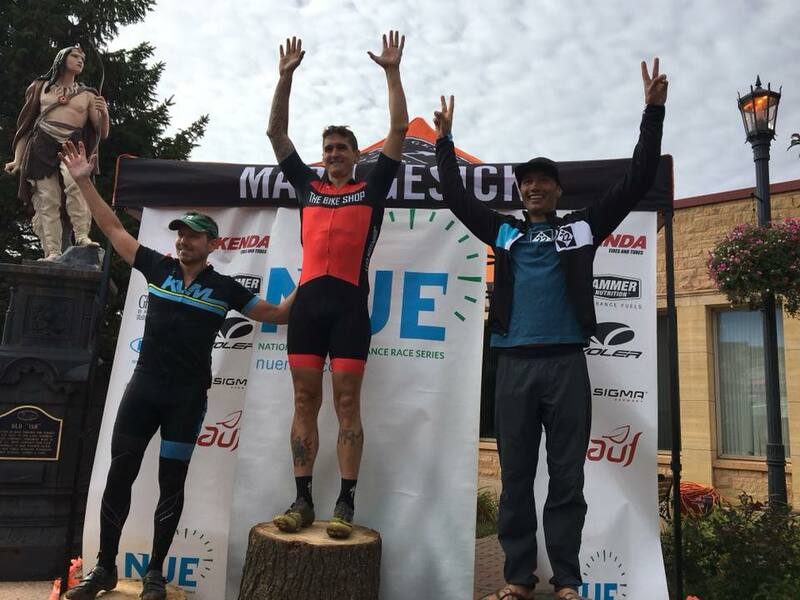 Following second place finishes in 2016 and 2017, Matt Acker of Salsa Cycles, took second place coming in at 10:06:54. Finishing less than a minute back was, Tinker Juarez, claming third in a time of 10:07:10. Williams gets her first win at Marji Gesick! Defending NUE Series Champion, Carla Williams, takes the top step with a record time of 12:25:51. “It was around mile 50 when I knew that my best effort was not going to be good enough. I asked the guy riding next to me through the sand what our chances were to break 12 hours and he shook his head. “Maybe if you gun it through the next 50 miles, you might have a chance.” I knew that it was going to be near impossible to “gun it” through the tight, twisty technical singletrack that lay ahead, and I also knew that the 2nd half of the race was going to be harder and only slower than the 1st half. I had prepared as best I possibly could for this race. I had read about every blog post out there. I had talked to as many people as I could who had done this race before for advice. 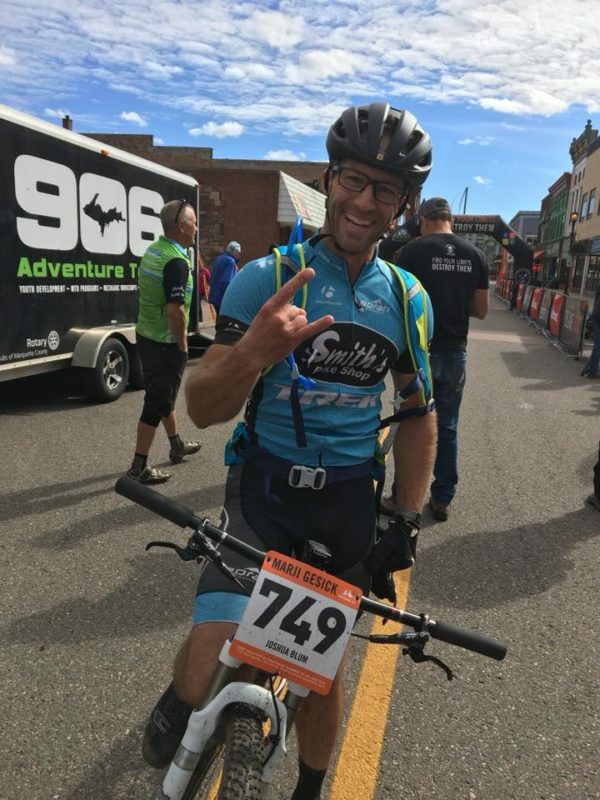 I knew that I had to go out hard at the start and hammer every easy trail because I needed to bank time for all the technical slow trail in between. My mom flew out from New Hampshire to spend the weekend with me and run support. She met me at miles 30, 50, 64 and 87 with food and water so I could minimize time stopping. I had the course loaded onto my wahoo, I had a back up charger for the wahoo, I had lights, I had food, I had tools and tubes for all the possible mechanicals that I knew how to fix. I guess it is fair to say that even the best preparation doesn’t really prepare you for this race. I didn’t reach my goal of 12 hours, but I am still really happy with my ride. I felt like I pushed the entire way, my legs felt strong, I never mentally broke down or entered a dark place, even when I got lost. I actually had a lot of fun working my way through the trails and was pretty happy with how I rode a lot of the technical stuff. It was awesome having my mom out there, and I kept looking forward to reaching the next spot out on course where I knew she would be. I think that if you accomplish all of your goals in a season, that means you are setting the bar too low. So I am ok with setting myself up for the challenge, giving it my best shot, but coming up 25 minutes short. It was an incredible backcountry adventure and a great end to my 2018 NUE season. Taking second place, Chelsea Strate, finished in 15:07:30. “Some of the recurring advice that I heard from past competitors that stuck with me was how it was very important not to get caught up in the fast start of the race, so I took it easy during the LeMans start, and even forgot where I put my bike. I just stood there for a few moments, wondering where the heck my bike was, when finally, my red grips caught my eye. I had actually forgotten I put red grips on, and thought my bike was all black. Oops! I hopped on, pushed myself a little bit, but I didn’t get caught up in where the other women were. There was still 100 miles of racing to go! All day, I kept thinking to myself, “is killing this uphill or catching that person ahead of me worth burning a match over?” The answer most frequently was a solid “nope.” My matches are a precious commodity. I kept a solid pace, and just tried to keep moving. I hiked my bike up a lot of hills, and didn’t clear all of the technical sections that I probably could have on a shorter ride, but I was in a good headspace, and really enjoyed the constant challenges. By mile 40 I was probably in 5th or 6th place, but by the end I had secured 2nd. I was just a bike throw (2 1/2 hours) behind Carla, the 1st place finisher, with Heidi on my tail (45 min behind), so it sure was a close race! (But in all seriousness, this is why we need to work on getting more women out!) Thanks to Teravail Tires and my friends for the race support! Rounding out the podium and taking third was, Heidi Coulter in 15:53:35. 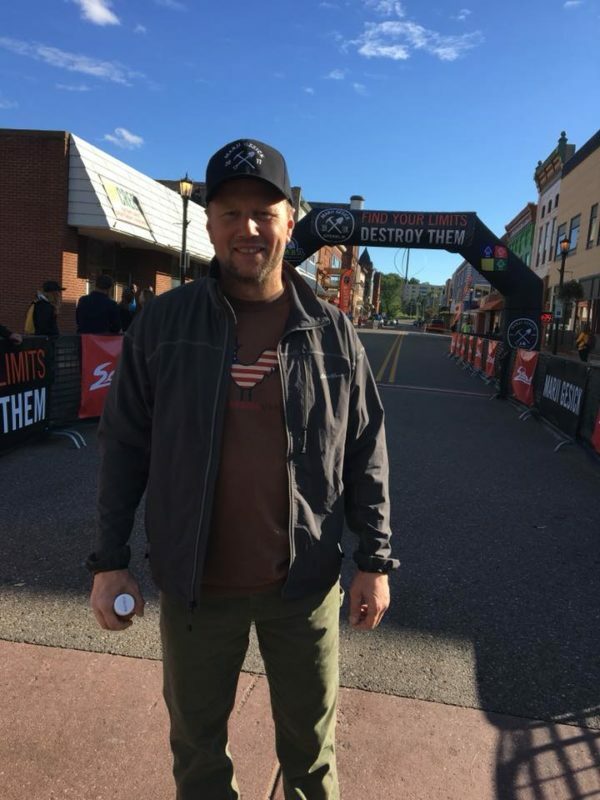 “Last year I signed up for the Marji Gesick 50, I was in the running for placing 2nd overall in the NUE Marathon Series. All I had to do was have a good race. That slowly slipped away when I got lost, went without water for 3 hours, ate apples from a tree on a long lost farm and finally found my way back to the finish. It was the first and only DNF of my life. It didn’t sit well with me, so much so that this year I put on my big girl pants and signed up for five 100 mile races! Winning the Master’s division was Todd McFadden with a time of 13:04:35. Taking second, Greg Gentle crossed the line at 13:27:47. Just a minute back from second place, Tom Stritzinger finished third with a time of 13:28:22. 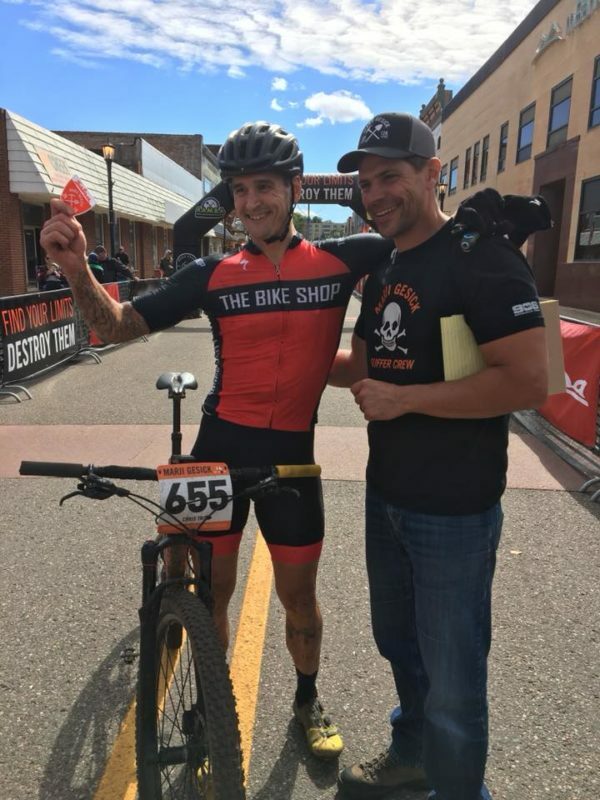 Brian Fuhrmann takes fifth overall and wins the Singlespeed division with a time of 10:49:21. 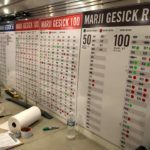 “After several years of not competing on bicycles I decided to drag my lazy carcass off the couch to try out a race called the Marji Gesick 100. 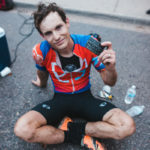 Since I was unfamiliar with the trails and the area I relied on past race results, reports, and word-of-mouth for how to plan my training and bicycle build. The pre-race consensus was that the last 35 miles were not for the faint of heart and I would need to treat that as the true halfway point. As such, I adopted the mantra “smooth & steady” for the race and routinely mouthed the words to myself to keep from going too hard early on. Following the LeMans start, I was sitting around 10th place overall and stayed there for the first 25 miles before latching onto the wheel of Chris Lowry from LaCrosse, WI. Chris and I were both riding smooth and we helped each other to keep an eye out for the trail markings. When we got to the trail magic station at mile 40, I realized we were already 30 minutes ahead of schedule for my goal of getting a belt buckle… decent! Chris and I trucked on together until a few miles before the 65ish mile drop bag location when I stopped for some electrolytes and let him continue on with his gears and derailleur. At mile 65 I reloaded my food reserves and got a quick bite to eat before learning about what the last 35 miles was going to deliver. Much to my surprise, these trails were very similar to my local stash of trails in Decorah. Where other people were struggling, I found that I was able to thrive. The trails were tight and less flowy such that I had to be a scavenger of momentum. Around mile 80, I once again met up with Chris along with another chap he was riding with at that time. I think they both realized I was enjoying my time on these trails and let me by. I pulled through Jackson Park for the last time at mile 85 and did a quick fill-and-go with the bottles. 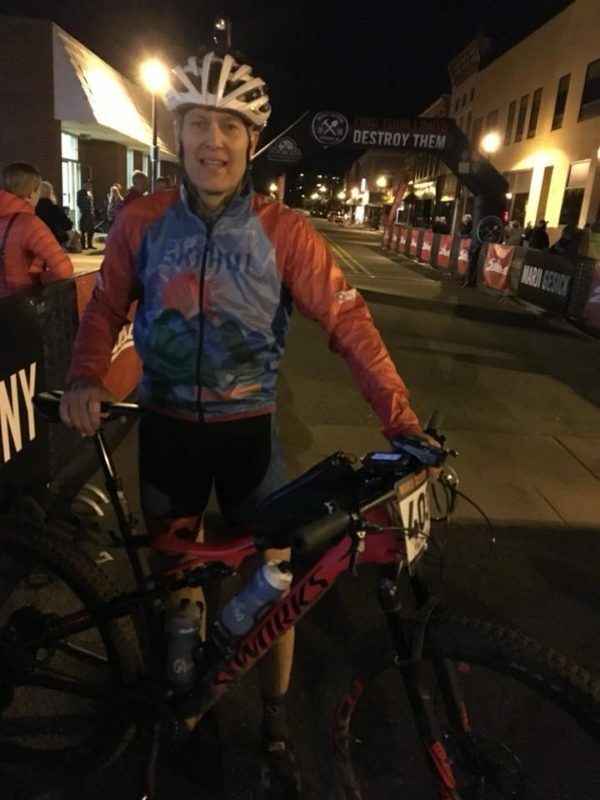 The last 15 miles contained many climbs that forced me off the bike, but I continued to think about staying smooth and steady, especially since I was buckle-bound unless something catastrophic was to happen. Somewhere in these trails, I passed a couple more MG100 racers before making my way to the finish line. Joe Worboy finished second with a time of 13:07:48. “The day started with a Unicorn and the National Anthem. We started with a Lemans start which I paced myself, I was prepared to start the day at a slower pace than my usual NUE starts. Marji is a long day and the last 30 miles of this race is tough. The day started out with the perfect temperature and I quickly settled into a nice 10 mph pace, as planned. 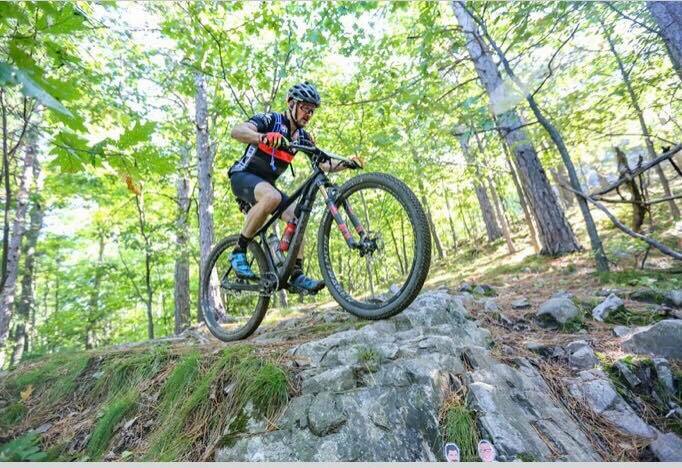 The course is fun at this point and it is the perfect day to be on the bike. The first 40 miles of the race has plenty of challenge but rewards you will some flow sections. I split the day into small goals, this helped maintain a positive mental attitude versus thinking about the finish line. Nutrition was spot on, I use infinite which always gets me through long days in the saddle. Everything was going great, and then boom! I hit the ground hard. It was techy descend after the ski slope climb. 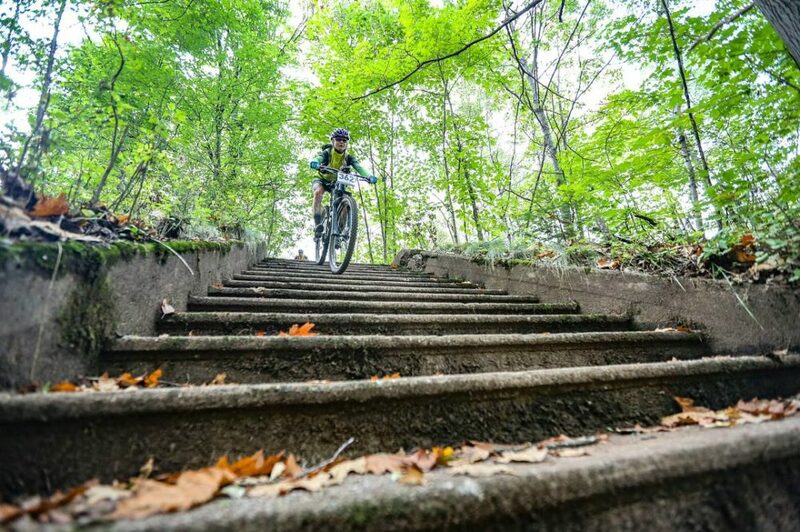 This is where I lost focus for a split second and I went straight over the bars in a techy downhill rock garden. It felt like I just got hit by Connor McGregor. This is for real, I am not sponsored in any way by Oakley. The Oakley Jawbreakers saved the day, without that protection I am pretty sure my day would have been over. They took the majority of the blow versus my face and cheek bones. However, I did have some cuts around my eye from the frame impact that caused bleeding and my hand took a big hit, later to find out it is only a deep bruise. I asked a passing rider if the cuts looked ok and if he thinks the bleeding will stop, he said, “Can’t see the bone so you should be good, but I am not a doctor.” This was refreshing to hear…. So I kept going, I must have looked like Rocky after fighting Apollo because there were a lot of comments. I knew to complete the day I must stay focused and push through. I was still riding but at a much slower pace trying to actively recover on the bike, this is not easy at the marji and hit the ground a few more times because I was not riding my usual speed. Finally I made it to the Aide at mile 65 about one hour off my pace goal. One of the volunteer nurses cleaned me up, thank God for her. I am very appreciative of this because she confirmed my hand was ok and cleaned up my cuts. Mentally I was back to 100% and feeling strong again. I also saw my son, Mikey Worboy. This was awesome! We had a waffle, peanut butter, whip cream sandwich together. 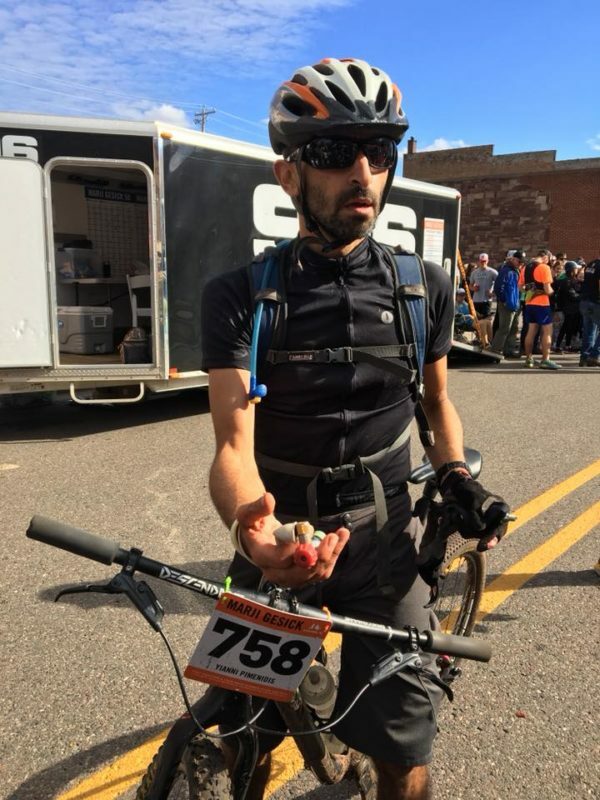 Totally coincidental, he just happened to be coming through the same aid for the 2nd time to complete the 50 miler. It was so cool to see him and knowing he is doing well was refreshing. 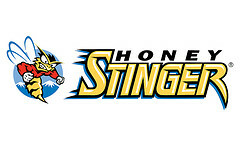 My energy was really good now, I was back on pace and caught up to single speeder, Joe Stroz, my NUE rival this year. We chatted for a minute to compare battle stories then separated. To his defense, he had some bike issues with that caused him some time and riding on a broken saddle is not easy. He would of never let me leave his sight otherwise. Taking third was, Regis Ricketts, finishing at 13:17:44.